Published 10/14/2010 . Last updated 1/13/2019 . I was surprised to find that while my avocado cupcakes were a hard sell, everyone wanted to try the candy cap mushroom cupcakes. No one seemed bothered by the mushroom on top of the cupcake or the surprise one inside (after all – the candy cap mushrooms taste like maple syrup!). Tasters even loved the mushroom frosting (they couldn’t tell what it was, but really enjoyed the sweet, earthy flavor). 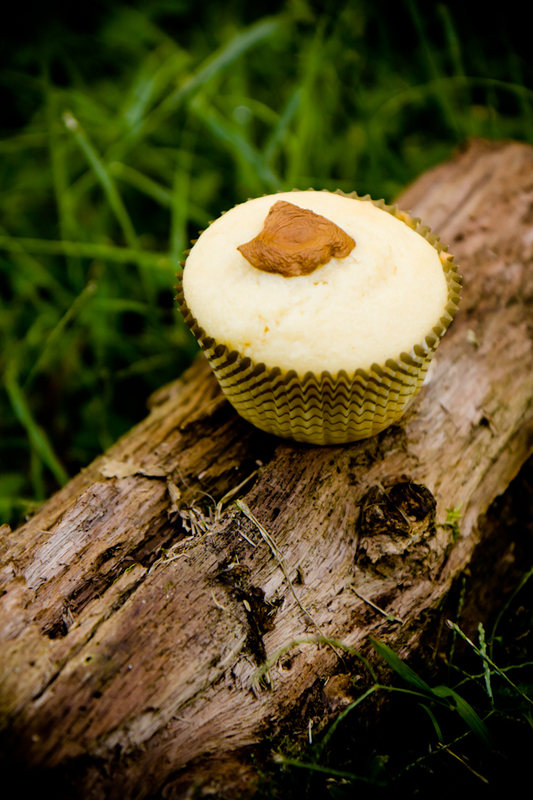 In fact, a few of my tasters said that the mushroom cupcake was one of their favorite cupcakes that I have ever made! 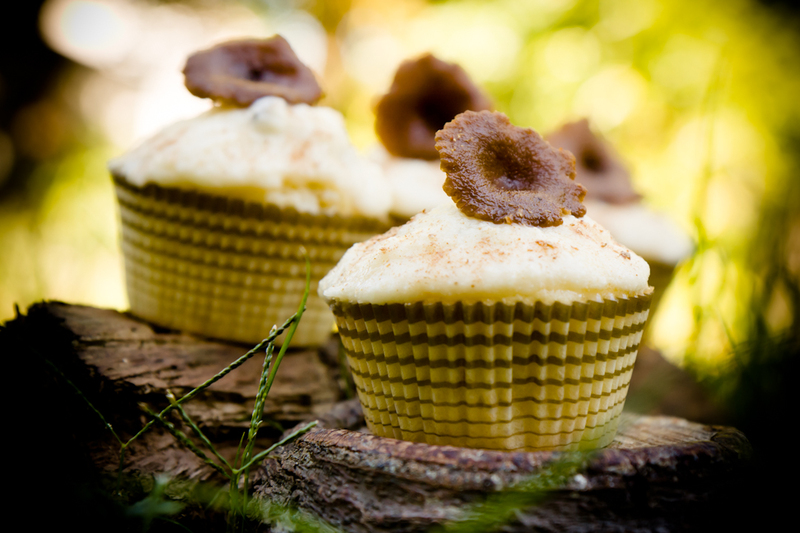 The mushroom cupcakes are incredibly light and moist with a mapley, nutty flavor. 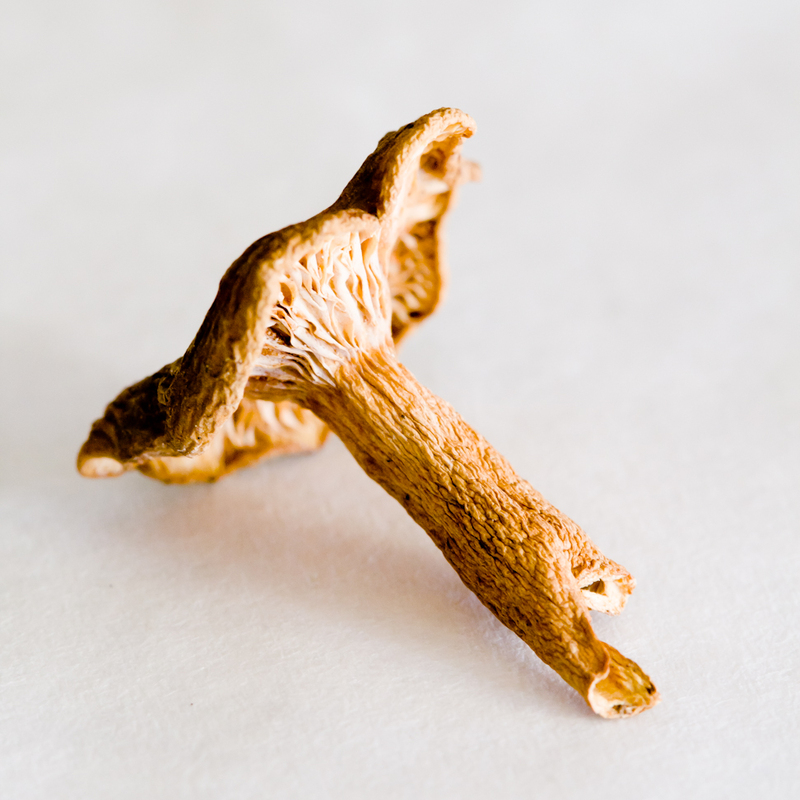 Get your hands on some candy cap mushrooms (I got mine from Oregon Mushrooms) and start baking! You’ll need the mushroom syrup for both the cupcakes and the frosting. I learned how to make it from reading an article in the Denver Post. This recipe will produce a bit more syrup than you will need, but I wouldn’t scale it down since you’ll end up needing most of the syrup soaked mushrooms. Mushrooms turned to syrup, why not? This will give wonderful warmth to your recipes. In a medium-sized saucepan, soak candy caps in water for fifteen minutes. Bring the syrup to a low boil over medium-low heat. Simmer for about twenty minutes. Taste it and make sure that it is nice and sweet. No one seemed bothered by the mushroom on top of the cupcake or the surprise one inside (after all - the candy cap mushrooms taste like maple syrup!). In a medium-sized bowl, whisk flour, baking powder and baking soda. In another medium-sized bowl, beat butter and sugar until light and fluffy. Beat in eggs and sour cream until blended. Alternately fold in flour mixture and mushroom syrup. 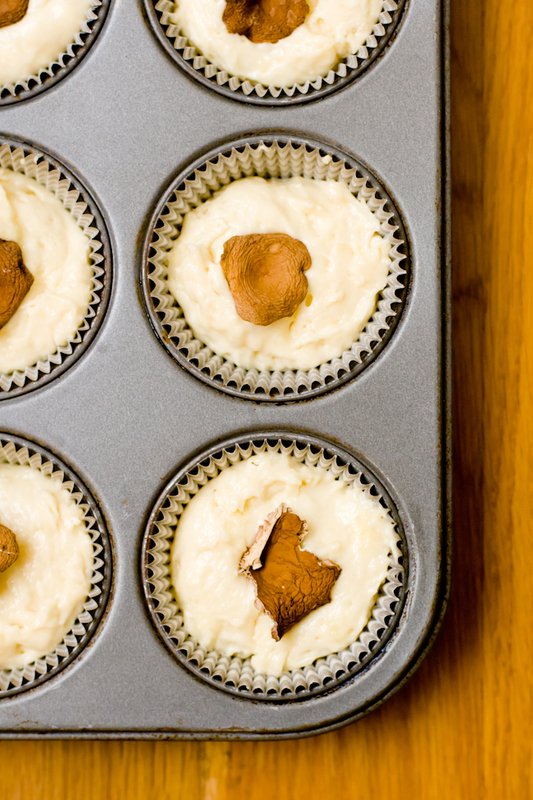 Stick a dried candy cap mushroom into the center of each unbaked cupcake (as shown in the photo of the cupcake tin above). Bake at 350 F for 25 minutes or until toothpick comes out of cupcake clean. 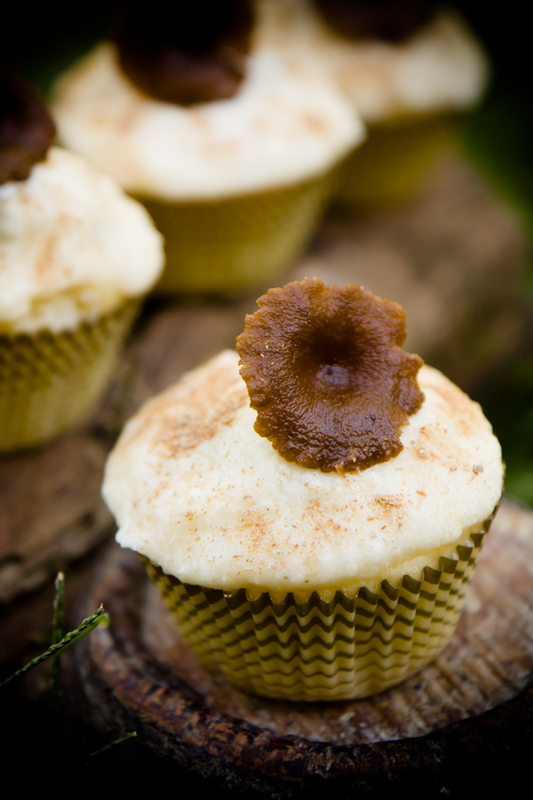 Candy cap mushrooms have a maple essence, so they are perfect to make frosting from. Mix butter and powdered sugar until well combined. Top cupcakes with mushrooms from the mushroom syrup. This is not a thick frosting. It cannot be piped. Two of my tasters said that these cupcakes tasted just like lucuma. I’d never even heard of lucuma, but you can bet that it is now on my list of flavors to try!